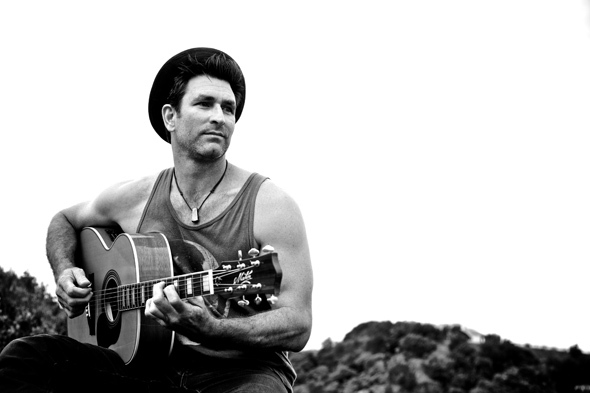 theaussieword.com goes one on one in an exclusive special i nterview with the great Pete Murray! What had you first interested in music? I first picked up the guitar at 22 – a friend that I was living with came into the room and said he’d always wanted to play guitar and I though that sounded pretty cool so I went and got a few lessons (he didn’t though!). I mucked around with that for a long time before I actually took music seriously. What motivates or influences your quest to make great music? Firstly I love writing music and playing to people who enjoy my music. I’ve always wanted a lifestyle where I could travel the world and play music… who wouldn’t want that as their job?! Tell us about your upcoming tour. It’s massive! I’m excited because it’s my first solo tour in this country so it will be very different to what I’ve done before. I want people to ask questions and request songs and really feel like they’re part of the show. Success, what is the secret to it and what has been your biggest career highlight so far? With success there’s a lot of hard work involved – nothing comes easily. It’s hard to pick one highlight but I remember the first time that I played a show and everyone sang all the lyrics to all of the songs back to me. I’ll never forget that – that would be my highlight. What are some of your biggest goals you still hope to accomplish as an artist? I’m getting my first release in Nth America this year and I’m really excited about that. I’ve always felt that my music was really suited to that part of the world so I still have goals over there that I’m going after. Which other musicians do you find inspiring? There’s lots of great songwriters that I really like – probably moreso the greats from the 60s and 70s like Bob Dylan and Neil Young. I’m inspired by singer-songwriters more than any other style of music. What can you tell us about recording your latest album? What makes this album interesting is that it’s got some amazing artists involved including Bernard Fanning, Katie Noonan, Ash Grunwald, Busby Marou and Natalie Pa’apa’a. It has a great surfy Byron laid back feel to it. We recorded most of it in a great old studio called Music Farm, which is where band likes Midnight Oil and Cold Chisel recorded back in the 80s. The shape of the music industry has changed significantly over the years, including the use of social media, how do you feel about the industry as a whole and what does it mean to you in getting your records out into the public eye? The good thing about social media is that it puts me in direct contact with my fans. Fans always know what’s happening in my world and it’s easy for them to stay in touch. The main vibe of this album was that we took it down the path of social media – I wasn’t looking for commercial success I just wanted people to hear the album and enjoy it, and social media has played, and is still playing, a big role in spreading the word. Thank you for the interview! What can you leave fans of theaussieword.com with here today? I hope everyone enjoys the album and if you’re coming to a show get some questions ready for me! Next PostBrad Belk SIZZLES on Camera!